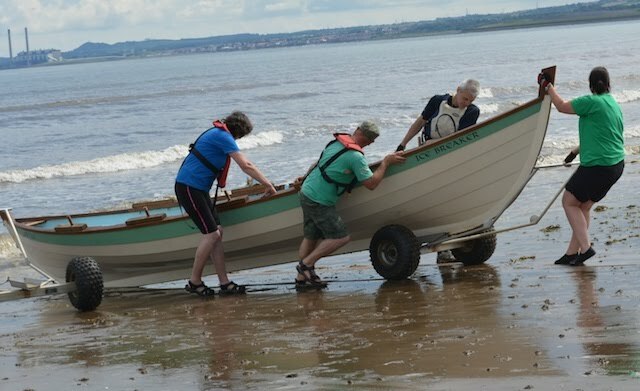 'This is what they do after a row, push the boat all the way up the beach and into the sailing club yard. Thank goodness I went out with 3 strong chaps as it was a low tide so a long way to go. Absolutely fabulous weather and the Rowporty club made me very welcome. Everyone knew about our regatta and some individuals are keen to come.